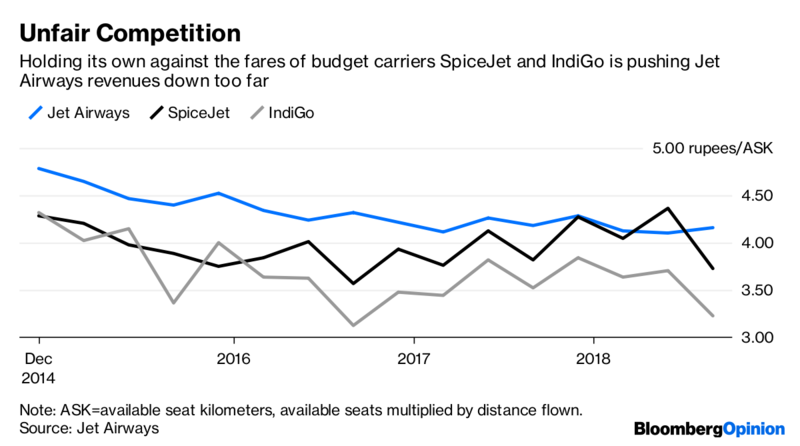 The issue with the country’s aviation sector is that it’s sandwiched between a profitable and ebullient budget carrier, IndiGo and a perennially loss-making state-owned airline, Air India. Prime Minister Narendra Modi has sought Tata’s help to rescue the struggling airline, people familiar with the matter told Anurag Kotoky and Bhuma Shrivastava of Bloomberg News this week. 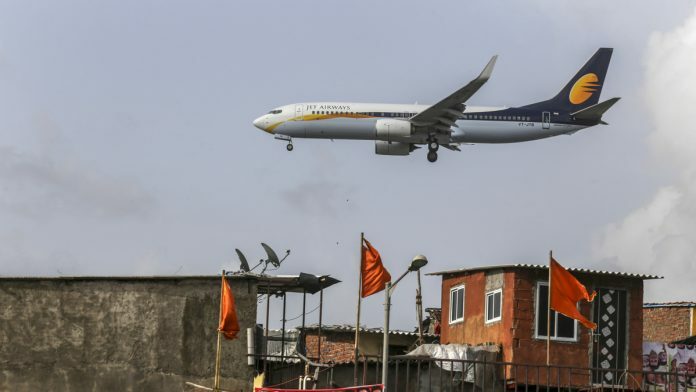 The conglomerate’s board would want state banks and India’s airports to take a haircut on some of Jet’s commitments to them before going ahead, one of the people said. That caution over this bout of national service is hardly surprising. 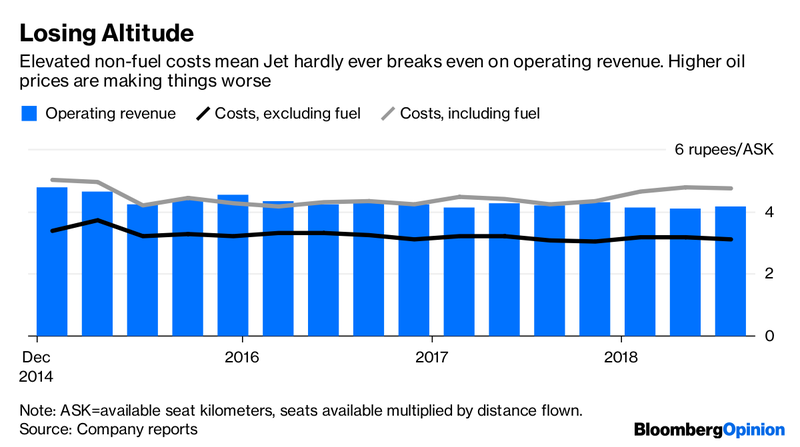 Jet has built up a substantial position in India’s domestic aviation market: It’s the biggest full-service carrier and the largest outright after the terrifyingly dominant budget carrier Interglobe Aviation Ltd., better known as IndiGo. Still, the smaller positions that Tata has staked out in joint ventures with Singapore Airlines Ltd. and AirAsia Bhd. are a much more sensible way of taking on the challenges of making money from getting India airborne. Etihad thought its bottomless pockets would be enough to offset those problems and give it a toe-hold in one of the world’s fastest-growing markets. The bet turned out to be as bad as its other purchases of stakes in struggling airlines, and may yet result in a stricken Etihad in turn being swallowed up by its rivalrous compatriot Emirates. The main problem for the country’s aviation sector is that it’s sandwiched between a profitable and ebullient budget carrier with a market share north of 40 percent – IndiGo – and a perennially loss-making but still substantial state-owned airline, Air India Ltd.
Squeezed from both sides, the industry suffers such strong downward pressure on ticket prices that even a rate of passenger growth that’s outstripping the capacity of India’s domestic aircraft hasn’t been enough to drive up average fares. It’s a very bad idea for a full-service carrier ever to engage in a price war with a budget airline, given that it must hand out free food and drinks and generally treat its passengers like human beings. But that’s more or less what Jet has been doing against IndiGo and SpiceJet for the best part of five years. No wonder its revenue is hardly ever enough to cover costs. The approach of Tata’s existing aviation ventures – its fancy Vistara operation with Singapore Airlines and the cheap and cheerful AirAsia India – has been to carve out relatively niche positions with ties to international carriers. Put together, these two have less than 10 percent of the market, compared with more than 15 percent for Jet and its tiny Jet Lite budget carrier. Still, that cautious approach is probably better than going head-to-head with IndiGo, SpiceJet and Air India, the dangerous space in which Jet is playing. One option would be for Tata to swap its position in the struggling AirAsia India for a stake in Jet, which is probably a better fit for Vistara. Just such a deal is being worked on, the Economic Times reported Friday, citing people familiar with the matter. That’s not going to be enough, though. India’s aviation market has been struggling for years, and Jet is in a singularly difficult position to make money. All but a handful of routes are short-haul, and the low-income marginal customer isn’t very inclined to pay extra for 90 minutes of pampering, so budget carriers have a built-in advantage. The passengers who are prepared to pay for full-service quality typically find that Jet is a bit better than the cancellation-prone, complaint-heavy Air India, but not quite enough to command a consistent premium. Right now, India’s aviation market resembles that of the U.S. from the 1980s to the 2000s. There are too many carriers fighting for space, and a discount carrier a la Southwest Airlines Co. is quietly demolishing the business models of the major players. The crisis in North America was ultimately resolved by the major airlines consolidating into a cosy cartel that’s been able to pump out extraordinary profits once it stopped competing so hard for customers. 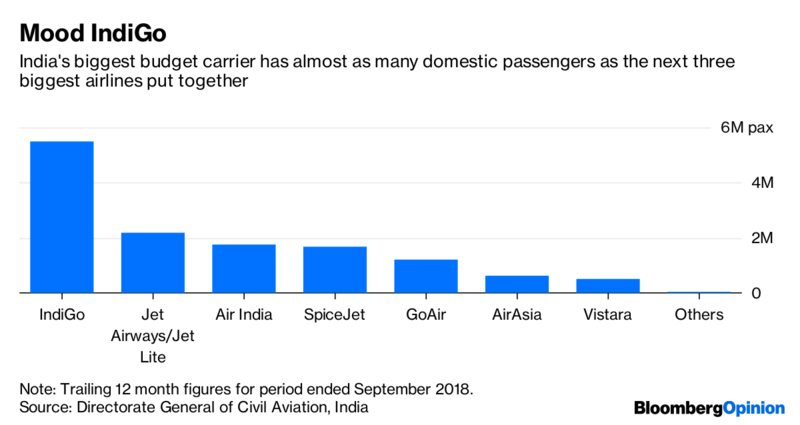 But squashing Jet and Vistara together isn’t going to be nearly enough to achieve that outcome while SpiceJet, Indigo, Air India, AirAsia India and GoAir are still duking it out for supremacy. Next articleWhat if Barkha Dutt had joked about Konark Temple’s erotica instead of Abhijit Iyer Mitra?